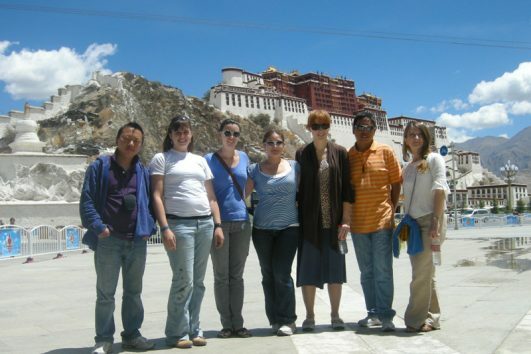 4 days Budget Tibet Tour gives you more time to explore Tibet with a low budget. You can explore the highest mountain in the world, Mt. Everest with our Tibetan tour guide. Moreover, we will visit Tashilhunpo Monastery in Shigatse. And it is famous for the world’s largest gilded statue, the Future Buddha. In addition, close to Everest Base Camp, we will visit Rongpuk Monastery, the highest monastery in the world. So besides the natural scenery, we will provide you with religious experience in Tibet. Also, when we drive back from Shigatse to Lhasa, we can view Karola Glacier and turquoise Lake Yamdrok. So you can harvest a lot during the four days.